Halloween parties for adults are getting more popular every year. Why not choose a fun party theme to set the tone for your spooktacular event? If you are having a Halloween party this year, you know there are many details that go into the planning. 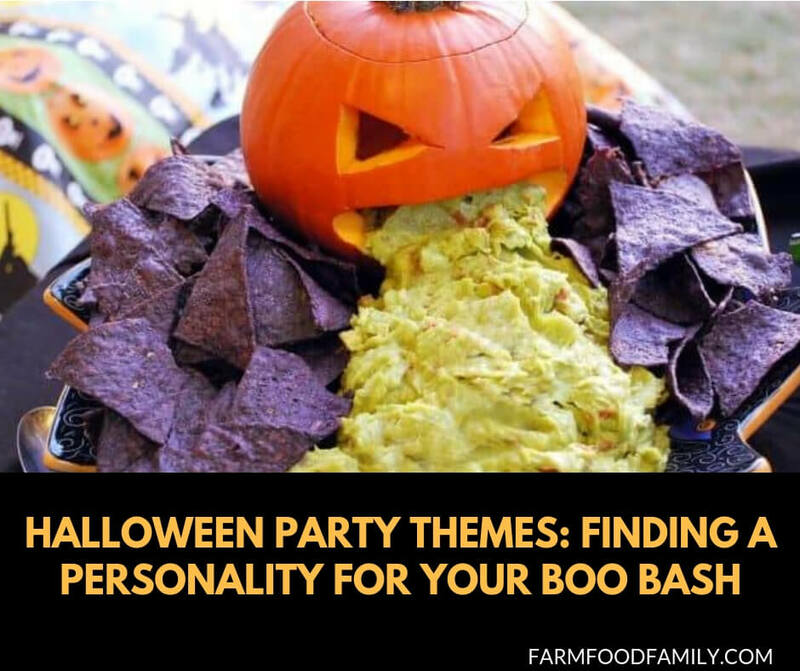 Whether it’s sending a creative invitation, serving amazing Halloween party food, or decorating your house with perfectly spooky Halloween décor, setting a theme for your party will help. One of the easiest themes for a Halloween party is to choose a decade. A ’50s party could feature poodle skirt costumes, Elvis CDs playing and a “Rock Around the Clock” invitation. A ’70s party could include funky hippie flower invitations, a disco ball, and a request for guests to dress in their finest 1970s digs. An ’80s party could have a Ghostbusters invitation (“We ain’t afraid of no ghosts”), some ’80s scary movies (Friday the 13th, Halloween, Poltergeist), and guests dressed as everything from Caddyshack characters to Care Bears. Start with your invitation: a test tube of green slime with a printed invite (yes, there is an Alien font to match your “Out of This World Party” wording) wrapped around it. Secure with a rubber band and mail in a mailing tube. Replace all the light bulbs in the house with green ones. Make a CD of spaceship sounds – and depending on how creative you’re feeling, an actual spaceship inside or outside your house. If it was on your front lawn, guests’ pictures beside it as they arrive at the party would be super cool. For your costumes as the party’s (g)hosts? Ripley (Sigourney Weaver) with or without abdomen-protruding alien and, of course, the actual Alien from the movie – which, of course, will be playing at the party. A Disney theme could work for either a children’s or adult Halloween party but would especially fun for an adults party. Needless to say, thanks to the sheer volume of Disney-themed paraphernalia available pretty much anywhere in the universe, selecting imagery for invitations etc should be quite easy. Make the wording on your invites consistent with your theme (“Bibbity Bobbity BOO, Here’s a Halloween Invite for you!”) and tell guests to dress as their favorite Disney characters. You will undoubtedly have some Disney princesses and Prince Charmings at the party, but will probably get some extra creative guests (Captain Hook and the Alligator, the Seven Dwarfs, or Buzz Lightyear may show up). Have fun with your Halloween theme; it’s a good sign your guests will have a lot of fun at your party!